Very often people will be looking for a cheap hair transplant solution, which is fine as we really do offer hair transplantation at a very reasonable price and with our interest free finance our cheap hair transplant procedure really is affordable for everyone. Do not be fooled by what might seem a cheaper hair transplant procedure especially if you are looking at getting a hair transplant abroad. Cheap hair transplant – What do you offer? 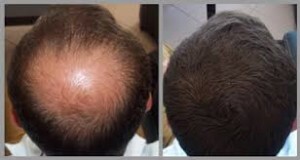 Our hair loss clinic in Glasgow offers hair transplants at an affordable price. With interest free finance available as well some might see this as a great alternative to a cheap hair transplant. We offer all hair transplants with our interest free finance package including male hair transplants, female hair transplants, transgender hair transplants and beard transplants. If you are looking at a fut hair transplantation or laser hair transplantation all these procedures are covered giving all of our clients a cheap hair transplant solution. All of our hair loss treatments are carried out by the very best hair loss consultants. Right from the very start all of our hair thinning consultations are carried out by one of only a few trained trichologists in Glasgow. She will make sure that after the hair loss consultation that you are advised on the very best hair loss treatments available to you. All at very affordable prices without taking anything away from the quality hair loss procedures that we undertake. Do not be fooled by cheap hair transplant offerings from clinics abroad, we feel it is much better having a hair loss clinic in Glasgow carry out any hair loss treatments especially in the unlikely scenario that something does go wrong or your hair loss treatment plan takes a longer time to get the necessary results you are looking for. If you are looking at a quality yet affordable cheap hair transplant that will not only suit your budget but your busy lifestyle than look no further than our clinic here in the city centre of Glasgow, get in touch with the tam today and book a cheap hair transplant consultation.